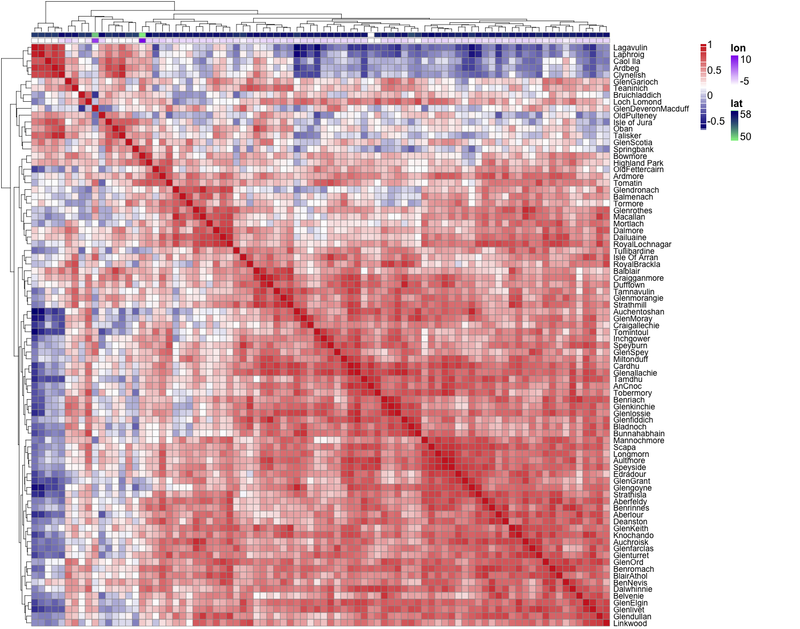 Recently, I came across this interesting blog post http://blog.revolutionanalytics.com/2013/12/k-means-clustering-86-single-malt-scotch-whiskies.html by the Revolutions blog poster Luba Gloukhov. 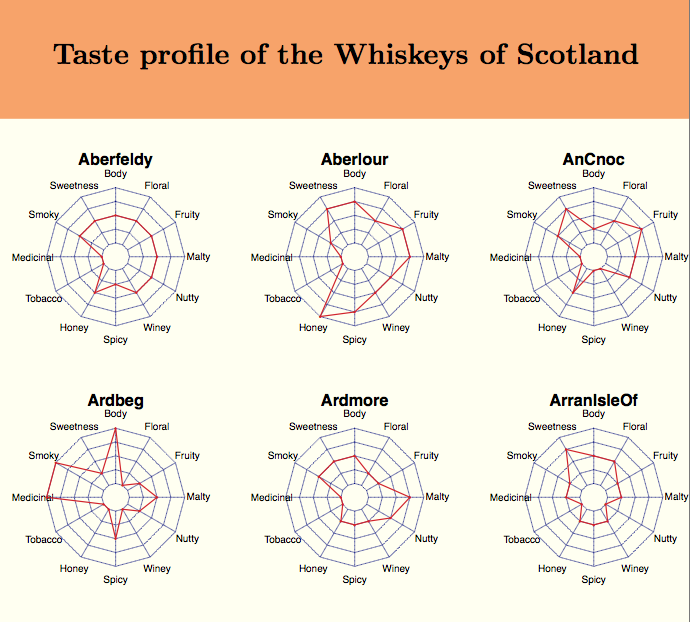 This post initially caught my attention because of the originality of the dataset: 86 scottish whiskeys marked on a scale of 0-4 in 12 different taste profile (source data is here). Now I know what I like, and I like my whiskey, so I liked what I saw. I then geotagged each distillery to the Scottish territory and color coded them according to the marks given for each taste profile. 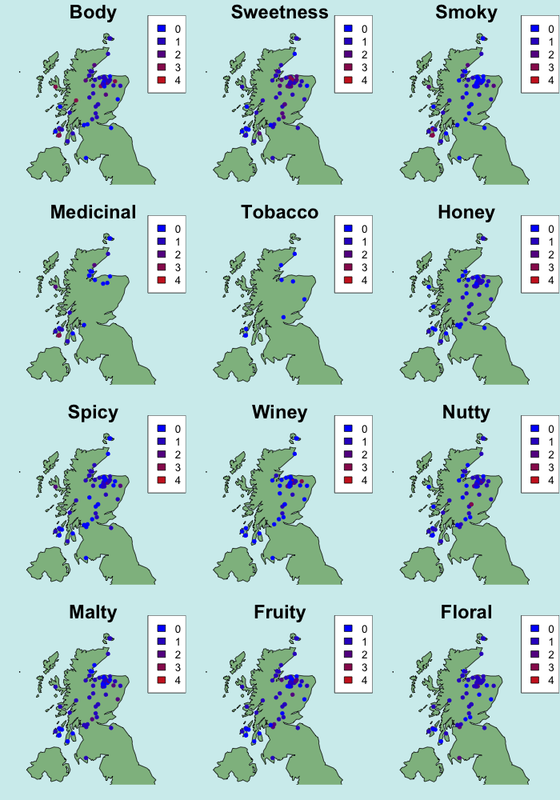 The most distinctive pattern we see is the clear separation between the land-based whiskeys and those from the Isles of Argyll. We can then look at how geographical position (i.e. longitude and latitude) correlates to each taste profile. 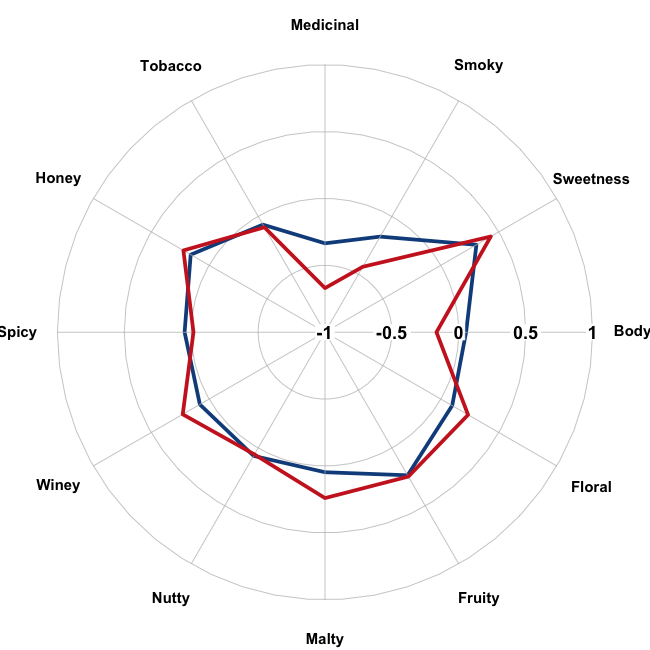 Correlation between geographical position (longitude and latitude) of whiskeys and their taste profile score. Better yet, we can look at similarities between different whiskeys and how these are affected by geographical location.